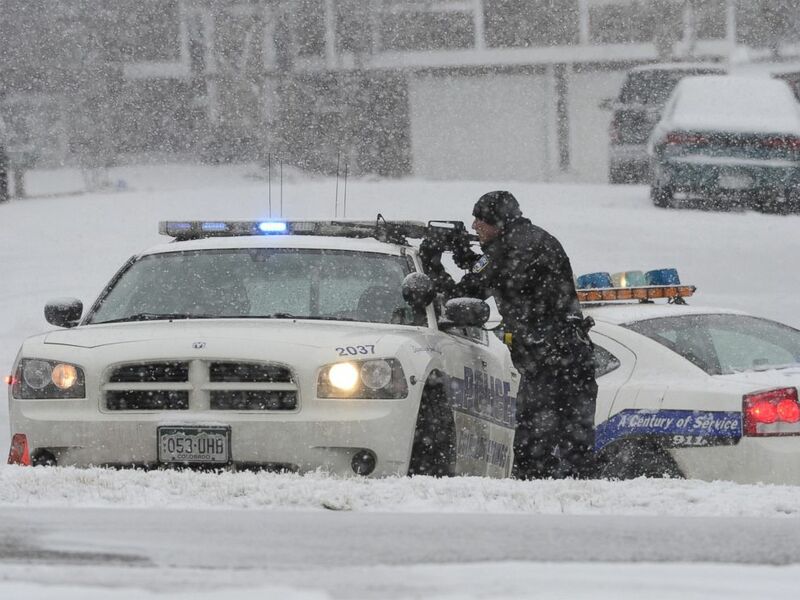 Two civilians and one police officer were killed at the Planned Parenthood building in Colorado Springs, Colo., today. The gunman has been detained, according to the Colorado Springs police department, and nine individuals, including five police officers, have been wounded. The deceased officer was on the University of Colorado, Colorado Springs (UCCS) police department. In a statement released by the university, the fallen officer has been identified as Garrett Swasey, 44. He was on the UCCS police department for six years. "UCCS is working with Officer Swasey’s family and continues to support the Colorado Springs Police Department at the shooting scene," said university chancellor Pam Shockley Zalabak in the statement. Police said that the nine victims were taken to local hospitals for gunshot wounds. All are in good condition at this time, police said. “There is a huge crime scene that has to be processed and we have to determine how many victims there are," Mayor John Suthers told reporters this evening. The "active shooter" situation at the Planned Parenthood building lasted for roughly five hours this afternoon. Police have not released the name of the shooter. The suspect, a male, had brought "items" with him into the Planned Parenthood building. Police said they do not know what the items were. 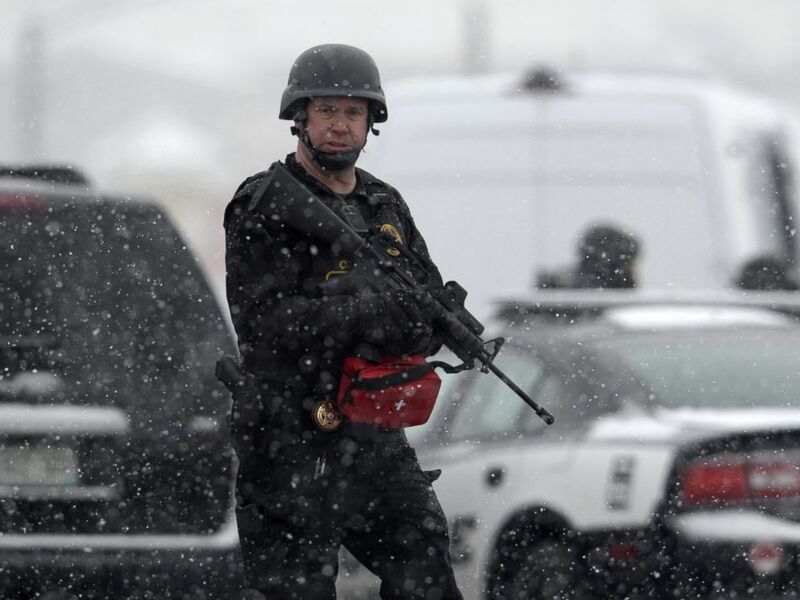 he standoff came to an end when police officers were able to gain entry to the building and began shouting to communicate with the suspect, according to Colorado Springs Lt. Catherine Buckley. It was then that officers got "him to surrender and he was taken into custody" at 4:52 p.m. local time, Buckley said. Police are still working to clear the Planned Parenthood building and said they are treating it "as a crime scene." Officials are also working to help anyone in the surrounding buildings who set up barricades during the standoff. "This is still very much unfolding for us," Buckley said. President Obama was briefed on the shooting, a White House official confirmed, and the FBI and Bureau of Alcohol, Tobacco, Firearms and Explosives (ATF) are assisting in the investigation. Police initially responded to a call of shots fired in the Planned Parenthood at 11:38 a.m. local time. The shooter had a "long gun" of some type. Police said there was just one suspect. In a statement, Planned Parenthood said: "At this time, our concern is for the safety of our patients, staff and law enforcement. This is a developing situation, and we’ll continue to share updates as we have them," according to Vicki Cowart, the President and CEO of Planned Parenthood Rocky Mountain. Police said the connection between the shooting and Planned Parenthood was not clear. Cops have asked residents to avoid the area near Centennial Boulevard and West Fillmore Street. They also tweeted that a stretch of Centennial Boulevard, from Garden of Gods Road to Fillmore, has been closed in both directions.